School has started, and many of us are busy reminiscing about our summer adventures. We had many adventures here at EALT this summer, and we welcome you to read up on what we and our volunteers have accomplished. We've been celebrating our 10th Anniversary year with all kinds of events to appreciate and conserve these important areas for wildlife and people. Managing more than 10 diverse conservation lands requires a lot of help, and we couldn't do it without our volunteers. Since July, our volunteers have installed bat boxes at two locations; Bunchberry Meadows and a soon-to-be-announced new EALT securement. 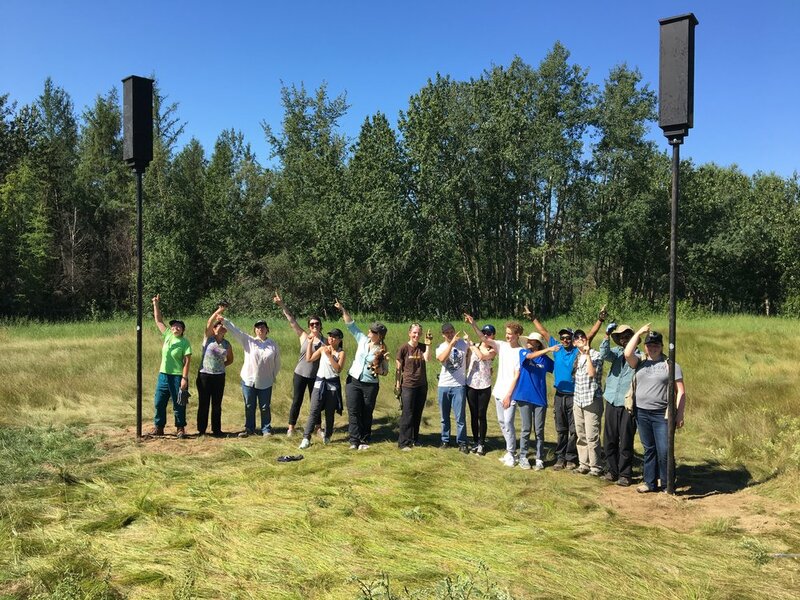 Volunteers have helped us to install stairs and restore an old trail at Coates, and they have helped us to clean out nest boxes for next year’s occupants at both Boisvert's Greenwoods and Golden Ranches Conservation Area. They have even taken on a few miscellaneous tasks like putting together a maternity bat box, photographing events, and maintaining trails for visitors to explore safely. Finally, volunteers helped us with information booths at Riverfest and City Market, to spread the news about what we do. There is still time to join us! Sign up to receive our volunteer newsletter to hear about opportunities, or sign up for an event here. Installed two maternity bat boxes at Bunchberry Meadows. Participated in guided nature walks at our potential Visser land securement with EALT. Featuring forest interpretive walk, forest meditative walk, Lady Flower Gardens walk, and agriculture tour. Installed two maternity bat boxes at an Upcoming Securement. Restored an old trail and installed 60 stairs and 5 interpretive signs at Coates. Maintened the trails and cleaned out 34 nest boxes at Boisvert's Greenwoods. Cleaned out 54 nest boxes at Golden Ranches. EALT staff completing baseline documentation surveys at Lu Carbyn Nature Sanctuary. That is not all EALT has accomplished! 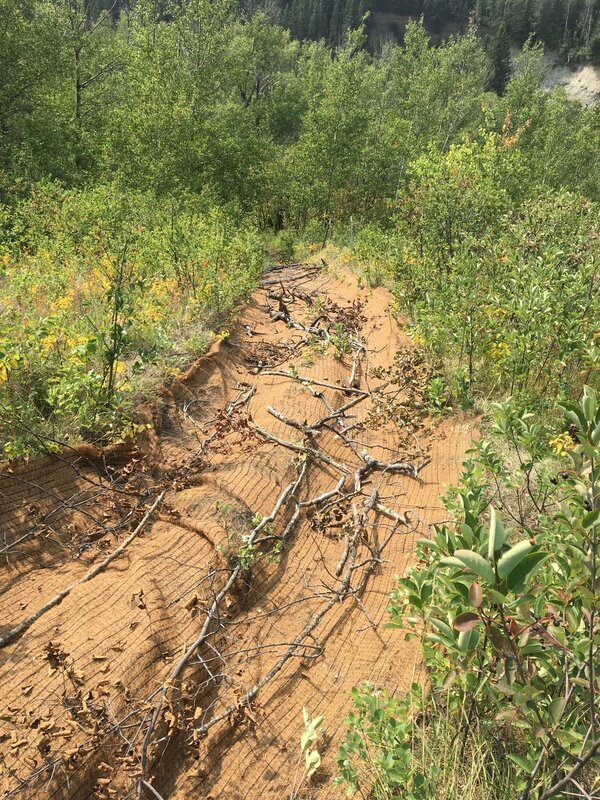 As EALT acquires new conservation lands, staff are out in the field many days of the summer, working on stewardship projects, monitoring our lands, and completing baseline surveys of our new conservation lands. A baseline documentation survey records what species of plants and animals are present on the land, which allows us to monitor change over time and determine where management action is needed (such as pulling invasive weeds, for example). 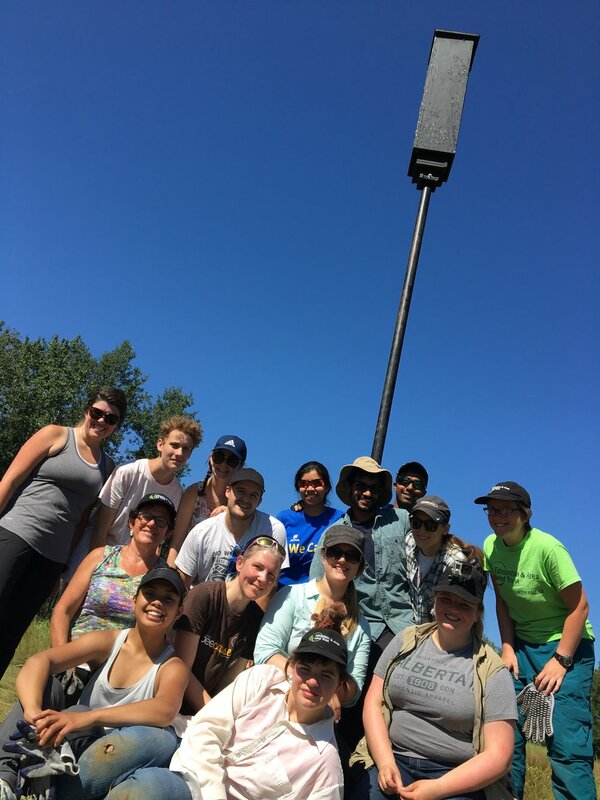 This summer, EALT spent many days in the field completing two baseline documentation surveys, at the Lu Carbyn Nature Sanctuary, and our newest securement near Elk Island National Park. If you want to get involved with us, there is still time! There are still several special volunteer events and celebrations that you can participate in this year to help us celebrate our 10th Anniversary. Nest Box Cleaning at Bunchberry Meadows (with partner Edmonton Nature Club). Guided birdwatching walk at Lu Carbyn Nature Sanctuary on October 7. Final Celebration Event on October 25. Details will be announced in the coming weeks.